For the second year in a row, Petersburg won’t have its Memorial Day weekend king salmon sport fishing derby. For 36 years, the event paid out cash prizes for the largest king salmon landed during a four-day weekend. That run ended last year with king salmon fishing closures on most of the inside waters of Southeast Alaska to conserve chinook returning to rivers in the region. This year’s closures are the same. 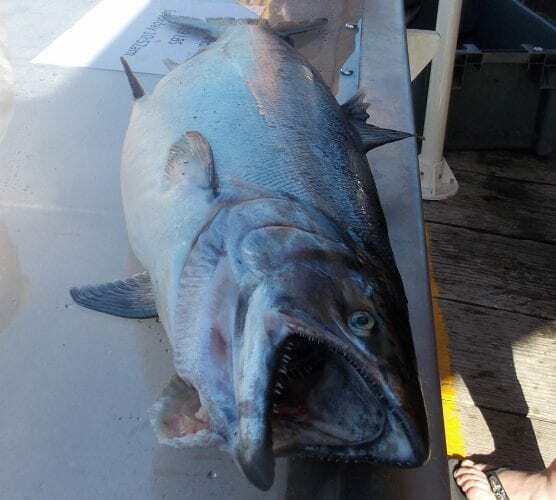 Anglers cannot keep king salmon starting April 1st in the waters around Petersburg and Wrangell. The Petersburg Chamber of Commerce put on the annual derby. Chamber director Mara Lutomski agrees the event will be hard to restart if king salmon rebound. The fishing closures are due to historically low returns of kings to Southeast rivers like the Stikine. This year’s forecast for that river is for a return of 8,250 chinook, well below goals set for fish returning to spawn. The fishing closure runs until July 14th for waters closest to the Stikine. It only lasts until June 14th for other waters. And there’s expected to be an earlier opening for fishing on hatchery kings returning to Blind Slough and City Creek. While other communities have switched to a coho derby later in the summer, Lutomski said that’s not something chamber members want to lead. She says the chamber might be willing to support another group organizing that kind of competition. Low king salmon numbers also mean closures and restrictions for commercial and subsistence fisheries again this year.